The app should no longer crash when trying to open the Library view, the company said in release notes. Actual playback, meanwhile, should be "more reliable on more devices." Apple rarely updates the service on Android, presumably focused on its core audience of iPhone, iPad, and iTunes users. This week's patch is actually the second in less than a month though, suggesting that technical issues were serious enough to warrant rush treatment. 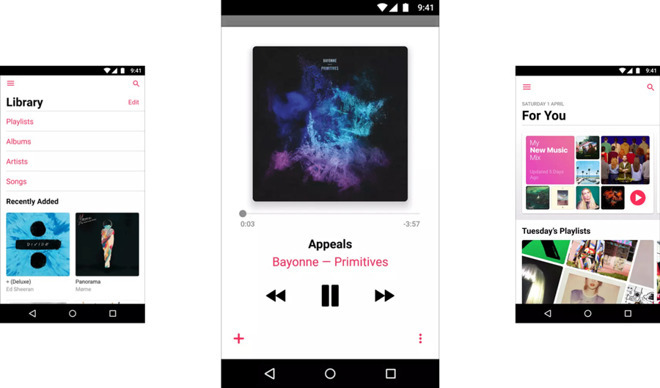 The last update introduced music video improvements, such as playlists, background audio, and in-app picture-in-picture. Apple Music recently crossed 38 million subscribers. It's not known how many of those are on Android versus Apple platforms.